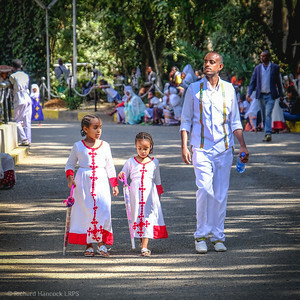 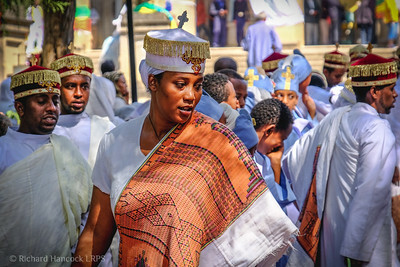 Timkat (Amharic: ጥምቀት T’imik’et, literally "Baptism"; also spelled Timqat) is the Orthodox Tewahedo celebration of Epiphany. 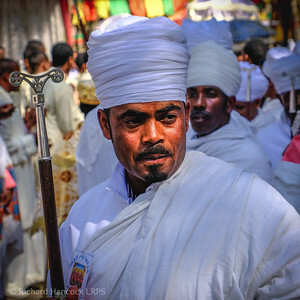 It is celebrated on January 19th (or 20th in a leap year), corresponding to the 10th day of Terr in the Ethiopian calendar. 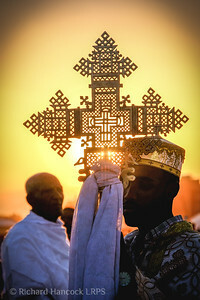 Timkat celebrates the baptism of Jesus in the Jordan River. 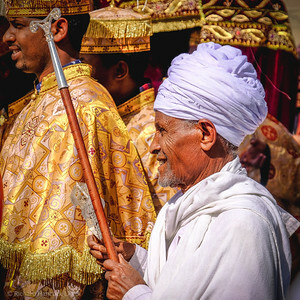 This festival is best known for its ritual reenactment of baptism (similar to such reenactments performed by numerous Christian pilgrims to the Holy Land when they visit the Jordan). 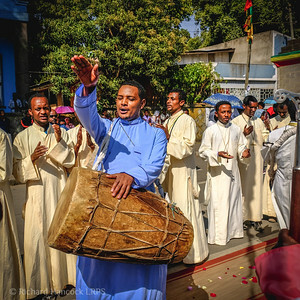 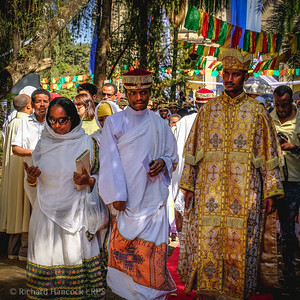 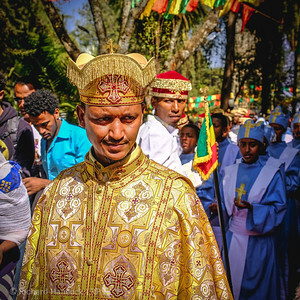 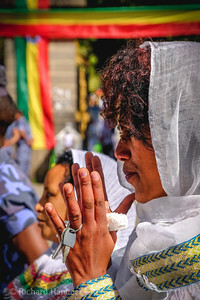 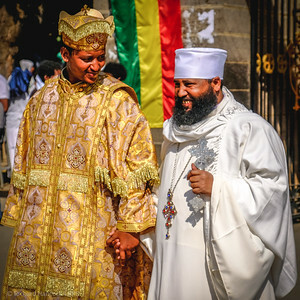 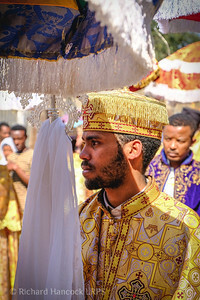 Ethiopian Tewahedo priests at a Timkat ceremony in Jan Meda. 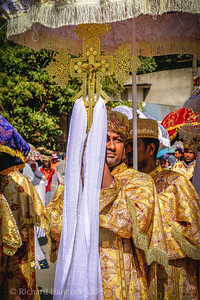 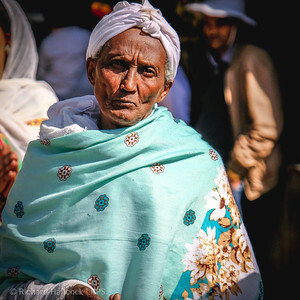 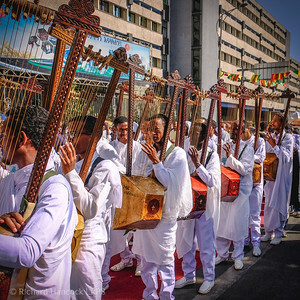 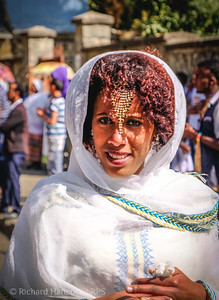 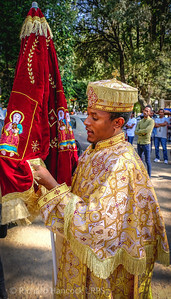 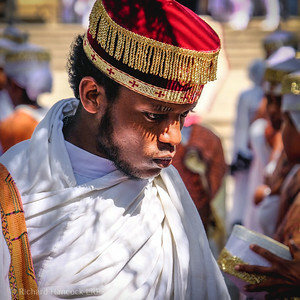 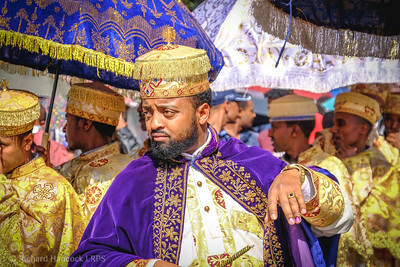 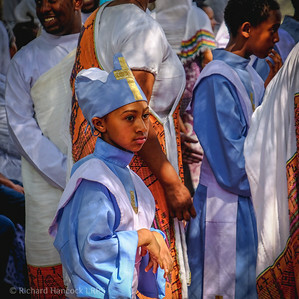 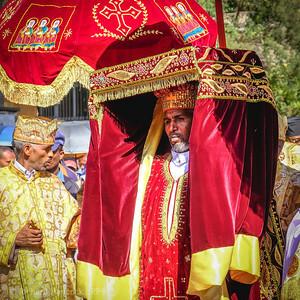 During the ceremonies of Timkat, the Tabot, a model of the Ark of the Covenant, which is present on every Ethiopian altar (somewhat like the Western altar stone), is reverently wrapped in rich cloth and borne in procession on the head of the priest. 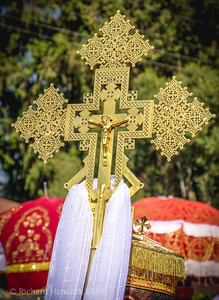 The Tabot, which is otherwise rarely seen by the laity, represents the manifestation of Jesus as the Messiah when he came to the Jordan for baptism.